This section features articles on the outstanding aircraft built by Boeing, Bombardier Aerospace/Learjet, Cessna and Raytheon/Beechcraft, along with the History of Kansas Aircraft Manufacturing and Kansas Aviation Historical Anniversaries. Kansas’s aviation history dates back to the early 1900s when Carl Dryden Browne began promoting commercial airplane manufacturing out of Freedom, Kansas. While Browne failed to ever fly his aircraft and closed his factory just two years after its opening, other Kansans were getting ready to see successful take-offs on the runway. The flat lands and open prairie skies made Kansas the ideal place to fly planes, and Kansas saw its first successful plane, the Longren Flyer, take flight in Topeka in 1910. This was just five years after the infamous Wright brothers’ flight at Kitty Hawk. The Longren Flyer was built from scratch and flown by Albin Kasper Longren with the help of his brother and friend. Longren quickly became the first Kansas aviator known by many in the region, and as he continued to produce aircraft, he pioneered the design and techniques we use for aircraft today. Longren wasn’t the only one taking flight in the Midwest. 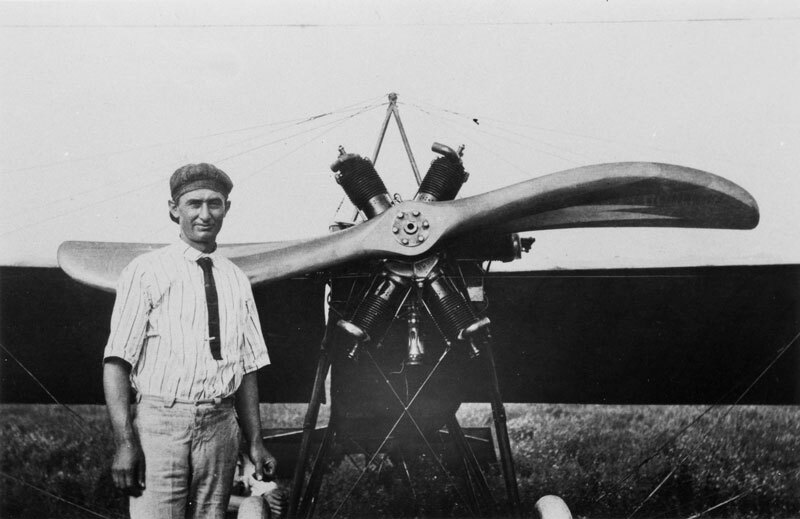 Just one year later, Clyde Cessna would begin flying his own creations in Kansas’s neighboring state, Oklahoma. Cessna had grown up in the late 1800s as a typical Kansas farm boy who later moved to Enid, Oklahoma. His skills with farm machinery had led him to a successful career in automotive as both a mechanic and salesman, but his aspirations didn’t stop there. Cessna had dreams of flying. Showing determination, Cessna experienced multiple crashes and injuries while learning to fly. These injuries resulted in weeks of hospital stays, and Cessna had to bring his family back to Kansas in order to avoid bankruptcy. His wife was not thrilled to raise their children in the family farmland’s hayloft, but Kansas would be glad to see Cessna back and to be the home of his future successes. In the following years, Cessna continued to build newer planes, improved his flying skills, offered flying lessons, and began building planes to sell. Unfortunately, once World War I rolled around, Cessna was forced to divert his attention away from civilian aviation and started to pursue grain-threshing as a career. 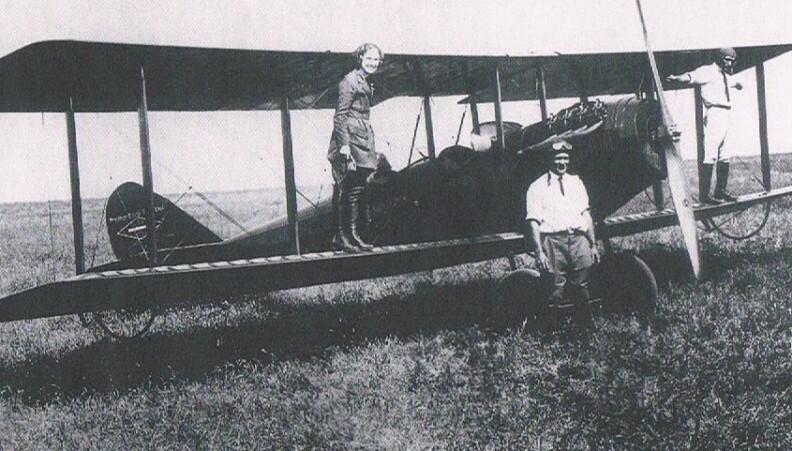 While World War I tried to exclude Cessna and other civilian aviation enthusiasts, the discovery of oil in Kansas’s very own Butler county would soon result in millionaires, the oil boom, and a dire need for advanced transportation. Rich oil businessmen and entrepreneurs began to invest their wealth into flying as a way to meet these new transportation needs. One of the most notable investors included J. M. Moellendick, who had done well in the El Dorado oil boom. Moolendick, along with Matty Laird, proposed the formation of an aviation production company in Wichita comprised of Walter Beech, Lloyd Stearman, and the one and only, Clyde Cessna who had invested in one of Laird’s Swallow airplanes as a way to keep his passion for aviation alive during the war. Together, E.M. Laird Airplane Company was formed in Wichita. On April 8, 1920, a Laird Swallow, the first commercially produced airplane in the United States, made its first flight over Wichita, Kansas. In 1925, the employee relationship between the three, Beech, Stearman, and Cessna, had formed Travel Air Manufacturing. This enterprise was put to the test as a disagreement formed over whether to build monoplanes or biplanes. The disagreement caused the three of them to split, but Cessna found his own success by opening his own aircraft production factory in 1927. His company, Cessna Aircraft, would eventually become the world’s leader in quantities of aircraft produced. 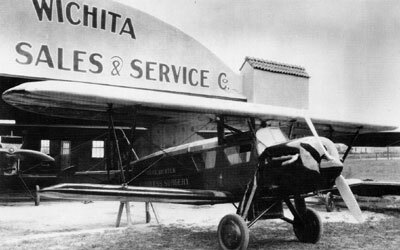 This formation of Cessna Aircraft Company is what led Wichita to begin promoting itself as the “Air Capital of the World” in 1927. While the oil industry began booming during World War I, World War II brought explosive growth for aircraft companies. Factories in Kansas, especially Wichita and Kansas City, were producing one out of every nine United States warplanes — employing tens of thousands of aircraft workers at Kansas plants. This helped grow employment and led to required mass transportation for workers. Boeing Wichita became the first manufacturing facility to transport its workers, bussing people from downtown Wichita, Arkansas City, Newkirk, Ponca City, Salina, and Winfield to Boeing and back. A third of the U.S. B-25 Bombers and half of the U.S. B-29 Bombers were produced in Kansas during World War II. 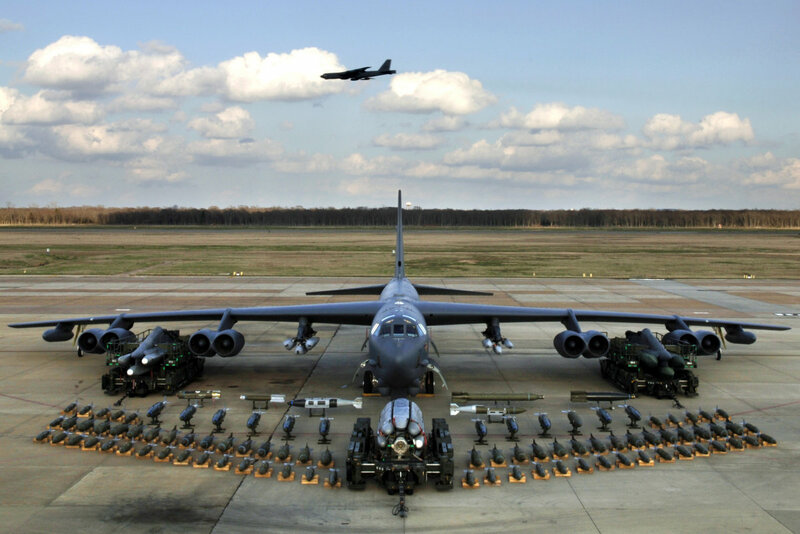 This production of warplanes would continue to trend in Kansas with the Boeing B-47 during the Cold War and the B-52 during the Vietnam War. McConnell Air Force Base, located in Wichita also played a vital role in training pilots for fighter jets. Kansas’s aviation history didn’t just help get people from point A to point B; it played a significant role in our country’s history through its military aircraft construction. Not to be forgotten, is William (Bill) Lear who came to Wichita to create Lear Jet Manufacturing. A business jet, the Learjet 23 came off the assembly line, Oct. 3, 1963. Lear was successful for many years prior to selling out with Bombardier eventually building the Lear Jet line of aircraft in Wichita to this day. Today, Wichita is still infamously known as the “Air Capital of the World” and is home to five major aircraft manufacturers: Airbus, Bombardier/LearJet, Beechcraft, Cessna, and Spirit. 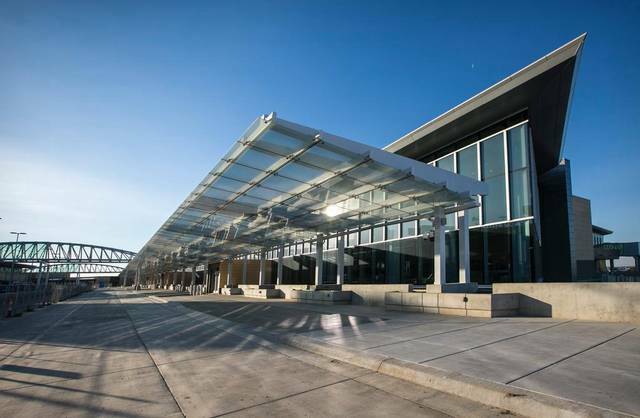 Kansas’s largest and busiest commercial airport is also found here. The Dwight D. Eisenhower National Airport (formerly known as Mid-Continent Airport) serves five airlines (Allegiant Air, American Airlines, Delta Airlines, Southwest Airlines, and United Airlines) and was renamed in 2015 to honor Kansan President Dwight D. Eisenhower who made flying a regular practice for United States Presidents.